The building form is inspired by the traditional Bishop’s headpiece, the mitre. 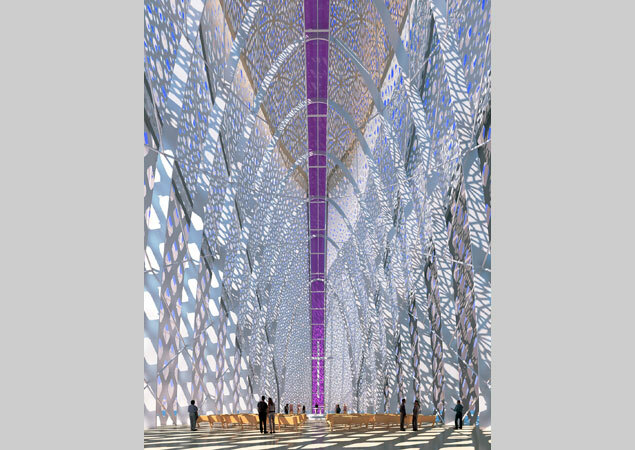 The structure is clad in a double-wall; the exterior skin is made of parametrically modeled perforated stainless steel; the pattern is inspired by the lace cloth worn by the women to cover their head or mantilla. The inner wall is multi-colored glass, resulting in an ever evolving interior environment as the sun moves. 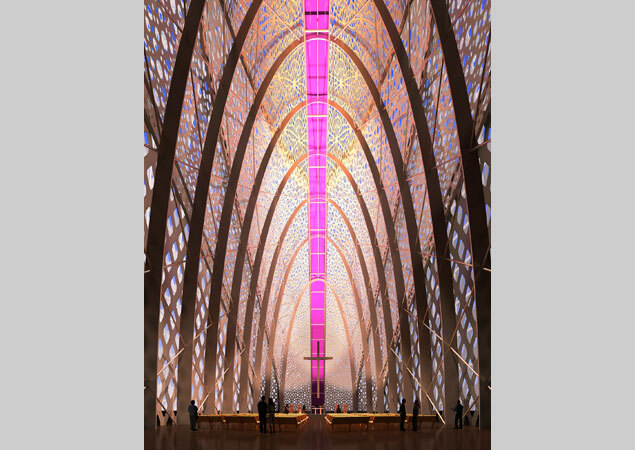 The double-wall is supported by seven steel arches, symbolic of the Seven Sacraments of the Church. 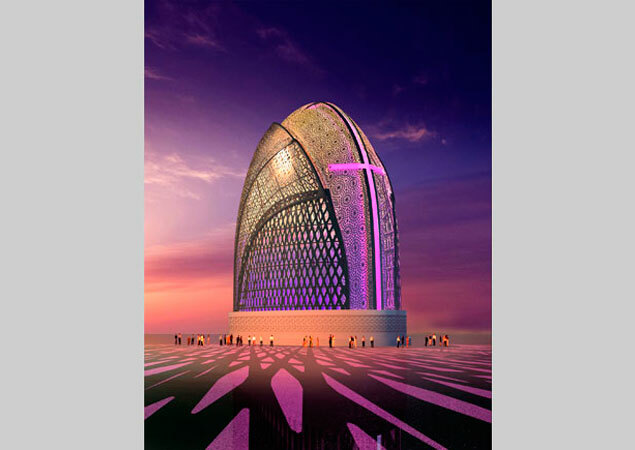 Through metaphor and symbolism, the design seeks to create an extraordinary and iconic structure. It will also serve as an architectural destination. 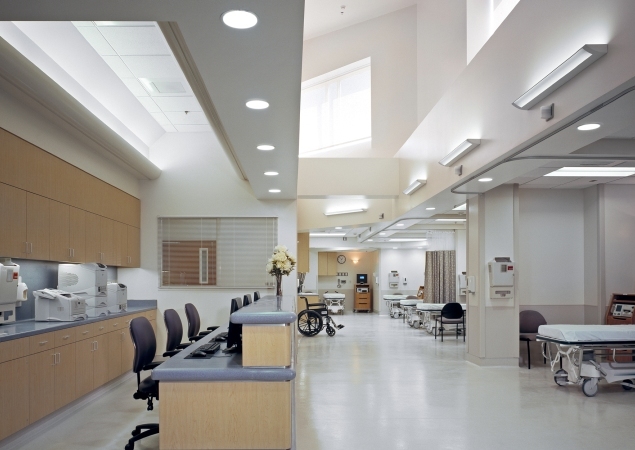 RBB was commissioned to convert an existing Skilled Nursing Facility into a Women and Infant's Center for Antelope Valley Hospital. RBB proposed a layout that focused on maximizing the efficiency of program adjacencies and maintaining in as much as possible the existing construction. 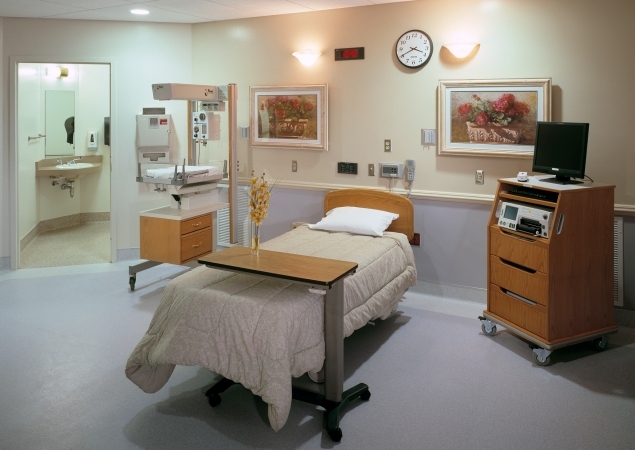 The primary entrance leads to a certrally located triage area where patient's needs are assessed upon arrival. 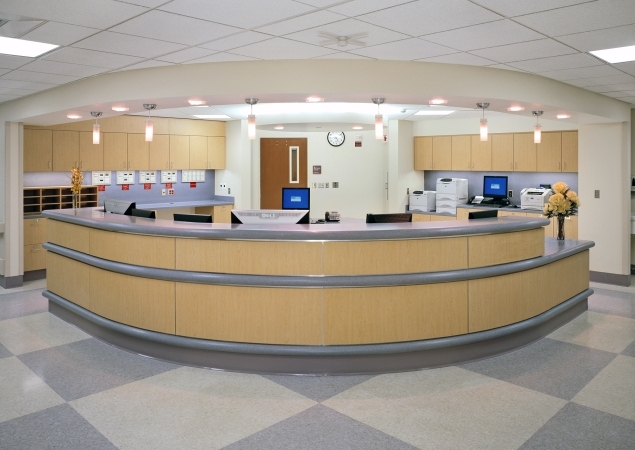 Essential administrative and support functions are located in close proximity to the main entrance, including waiting, a chapel, gift shop and cafeteria. 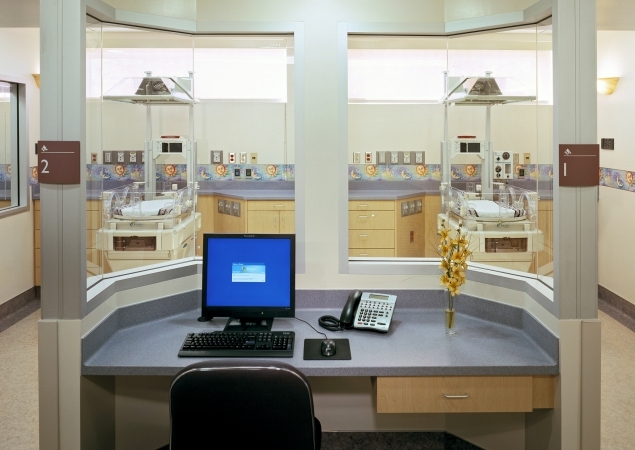 The procedure area that includes the C-Section rooms is centrally located for easy access from the LDR wing, and includes an adjacent observation, NICU and related support services.